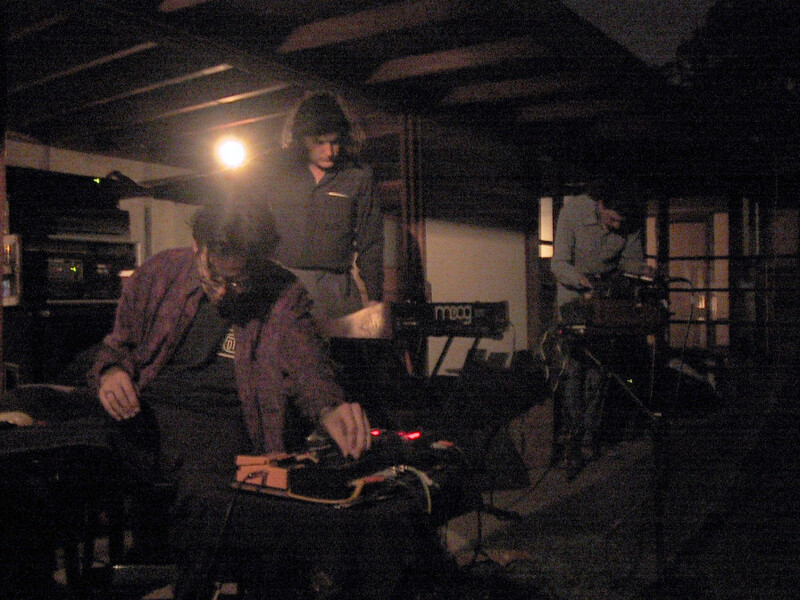 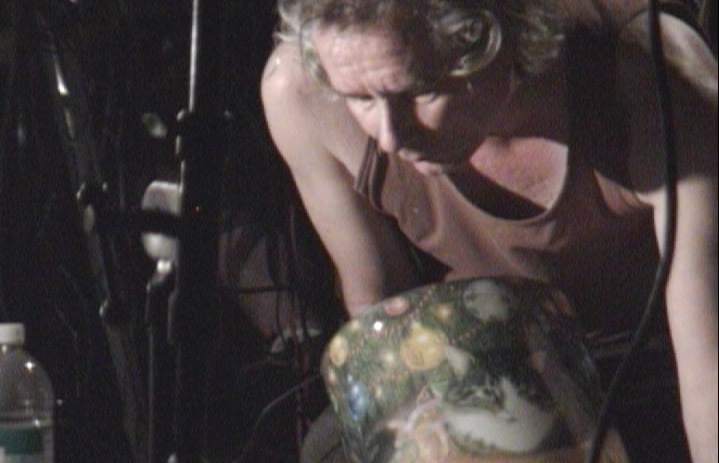 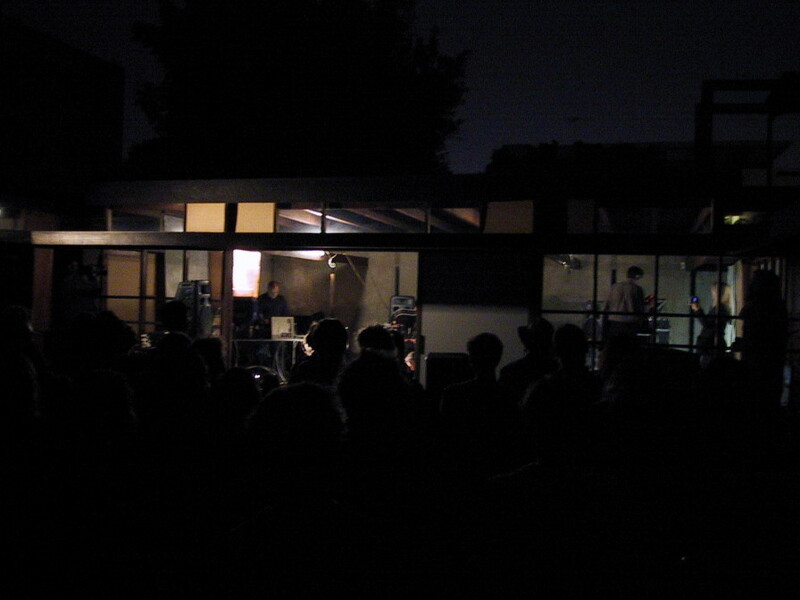 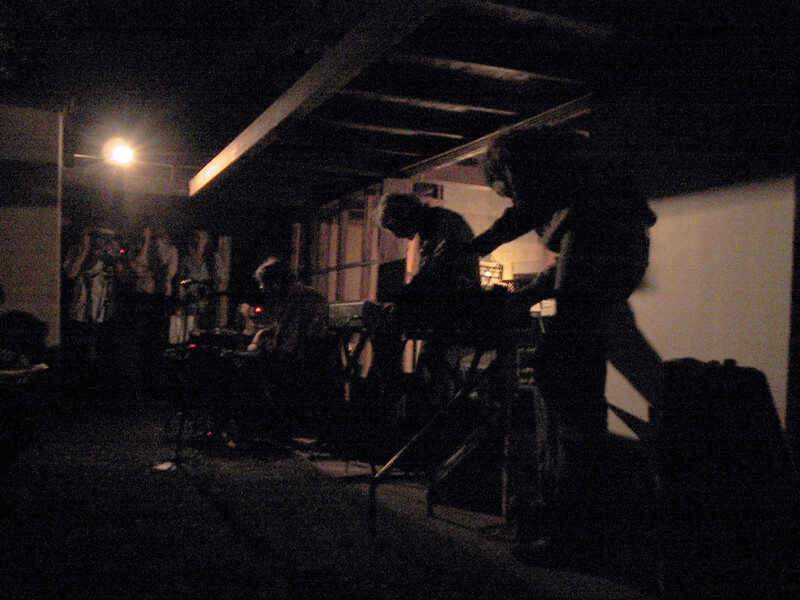 Solid Eye, formed in 1992, is the triumvirate of Rick Potts, Steve Gregoropoulous, and Joseph Hammer, each a longtime participant in the contemporary experimental music scene. 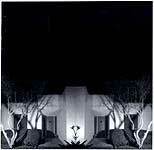 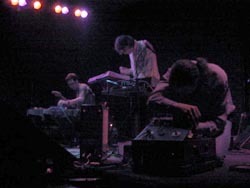 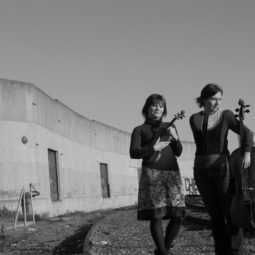 The group is known for creating soundscapes that can be at once ludicrous and haunting. 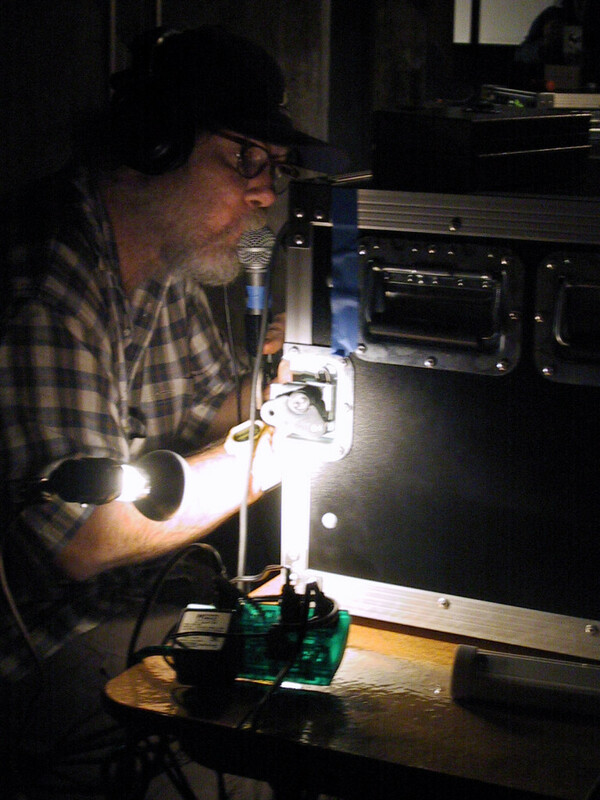 Hammer employs an ad hoc array of consumer audio technology, tape loops, samplers and analog synthesizers to blur the boundaries between digital and analog. 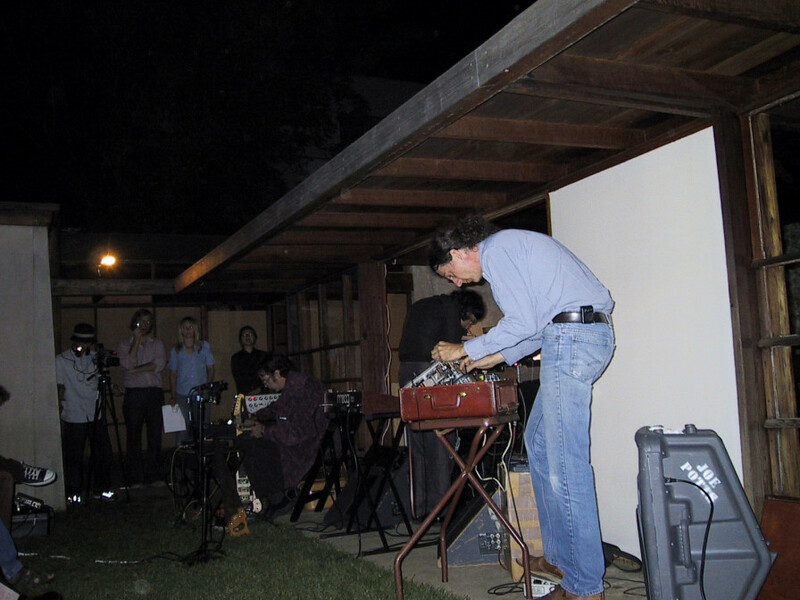 Rick Potts, a founding member of the L.A. Free Music Society, has an idiosyncratic methodology that may include playing the electric guitar with an electric toothbrush or street sweeper bristles, as well as employing saxophone, xylophone, musical saw and analog synthesizers. 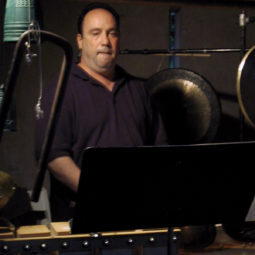 Steve Gregoropoulous joined Solid Eye in 1999 and is best known for his work with WACO, the Wild Acoustic Chamber Orchestra. 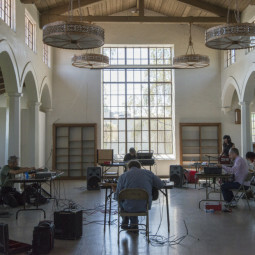 Extended Organ is a “super-group” of experimental sound artists culled from the ranks of the seminal West Coast “slacker” noise-cult the L.A. Free Music Society: Fredrik Nilsen, Joe Potts and Tom Recchion with artist and vocalist Paul McCarthy plus artist and noisemaker, Mike Kelley. 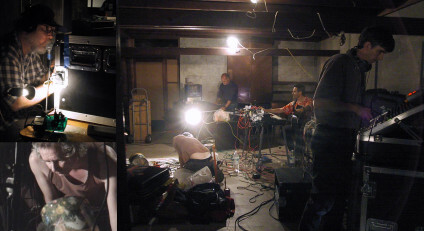 Although the members of Extended Organ have worked together in various configurations over the years (Doo-Dooettes, Airway, Waxy), their debut album “XOXO” marks the first time they have played together as an entity. 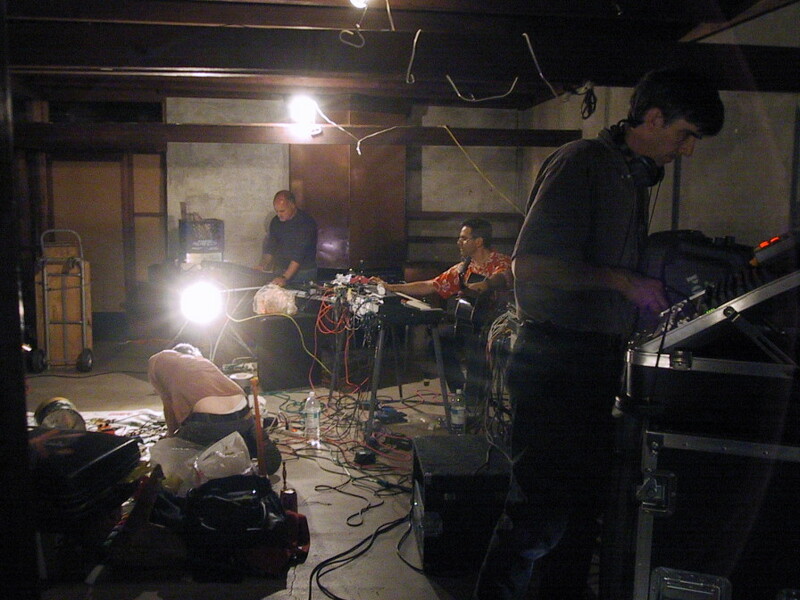 “sound.” and the MAKcenter are thrilled to the nerves to present their first millennial performance.